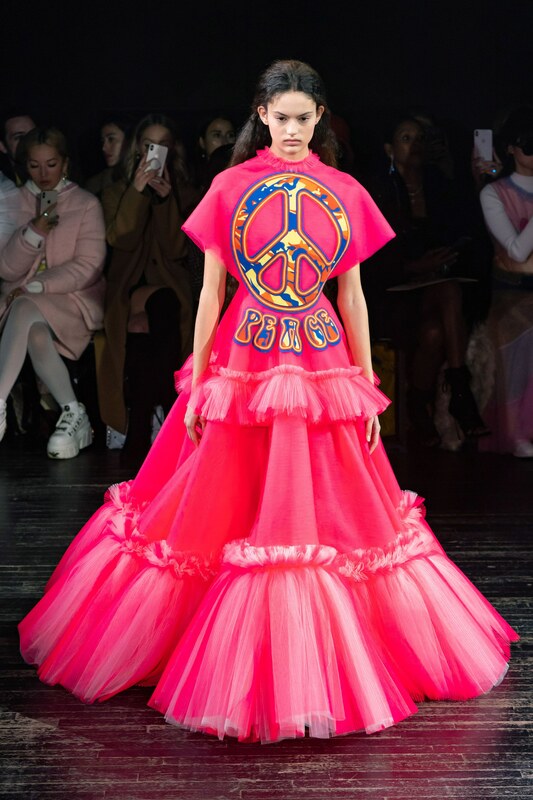 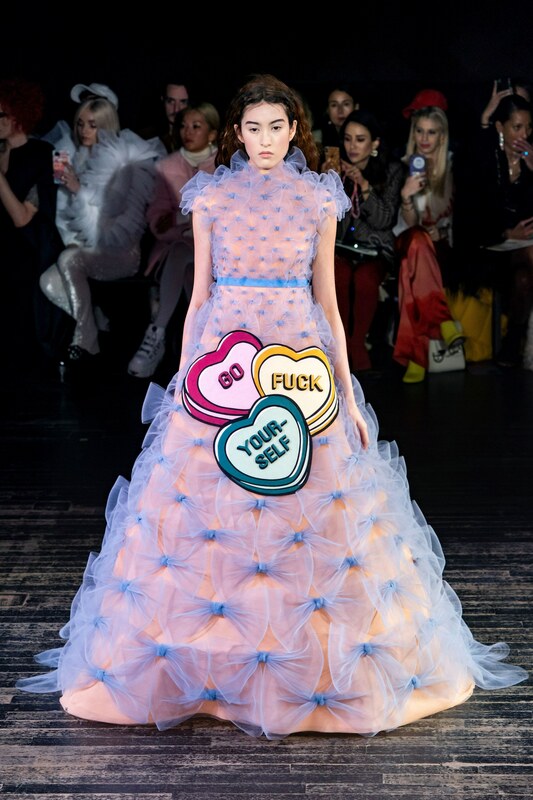 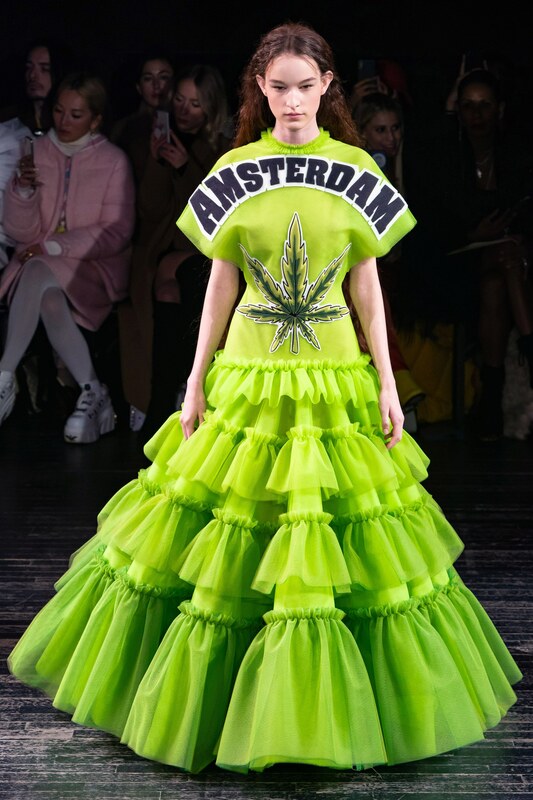 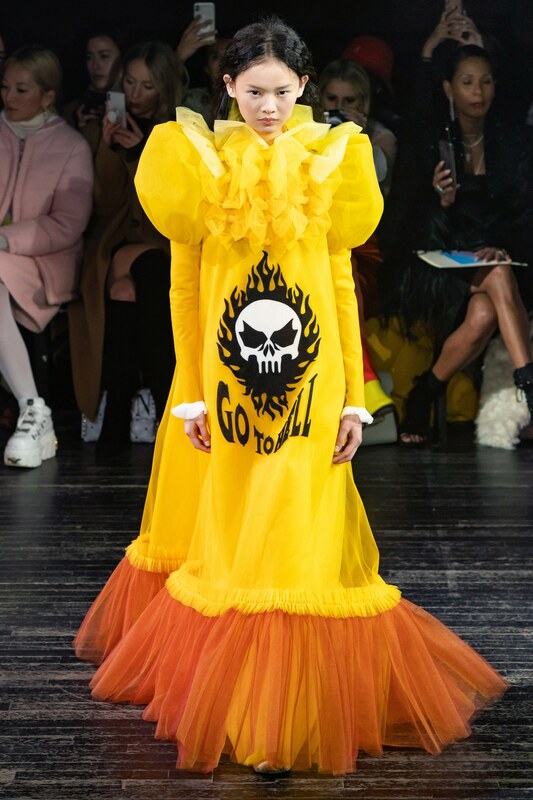 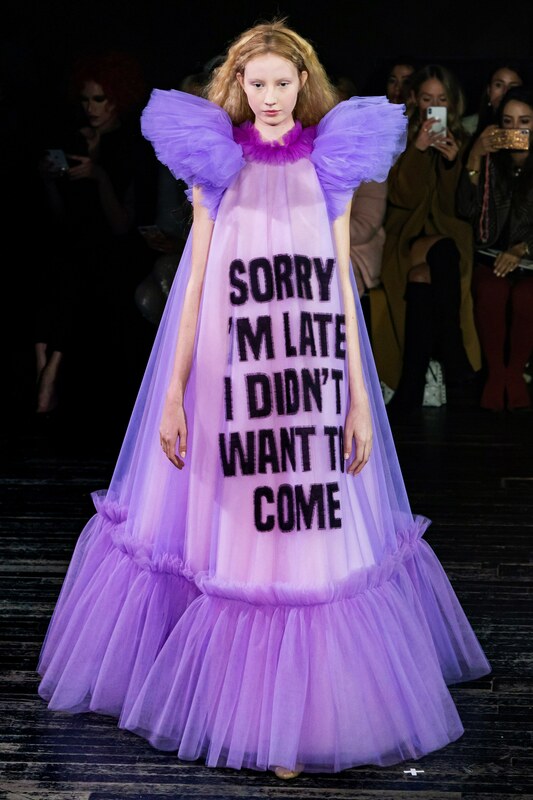 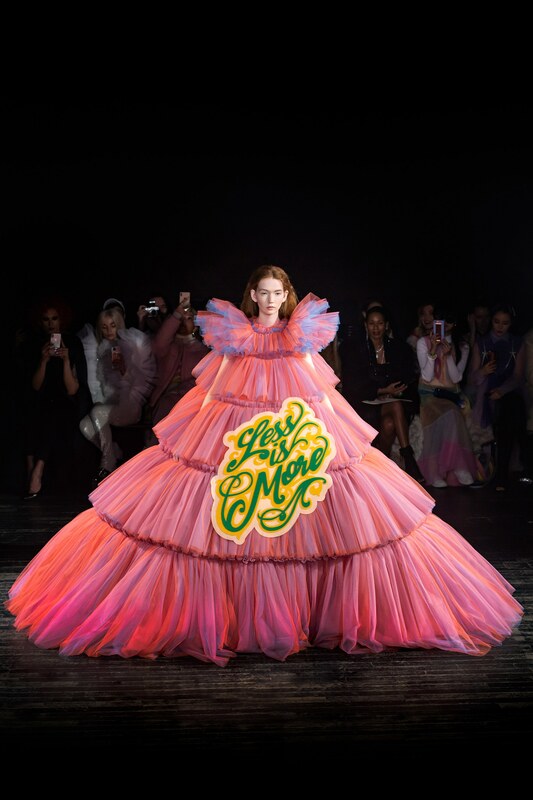 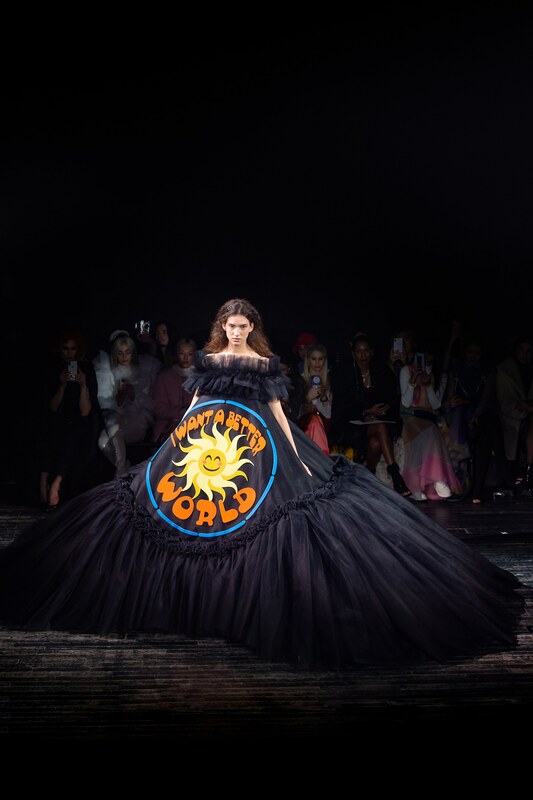 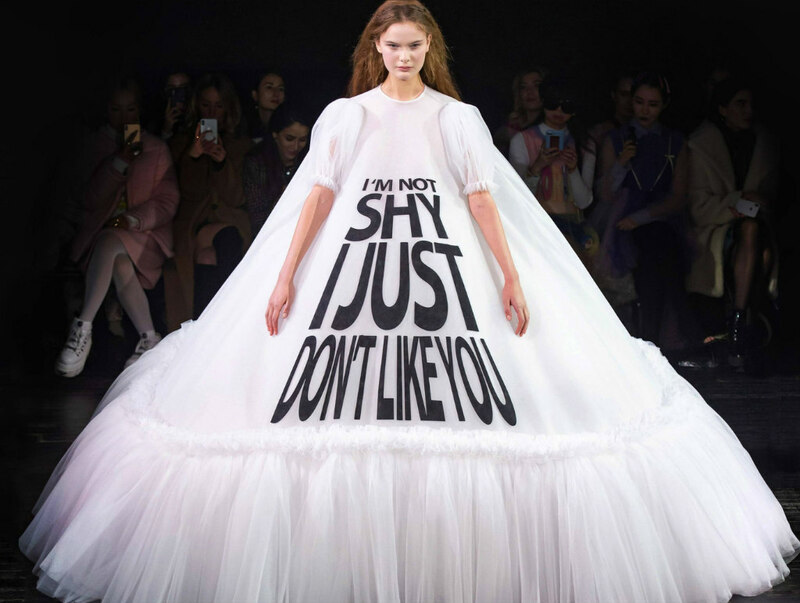 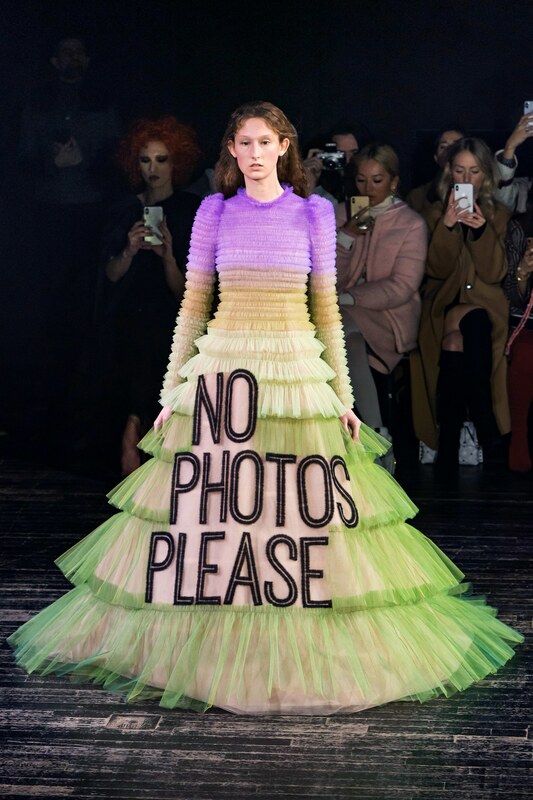 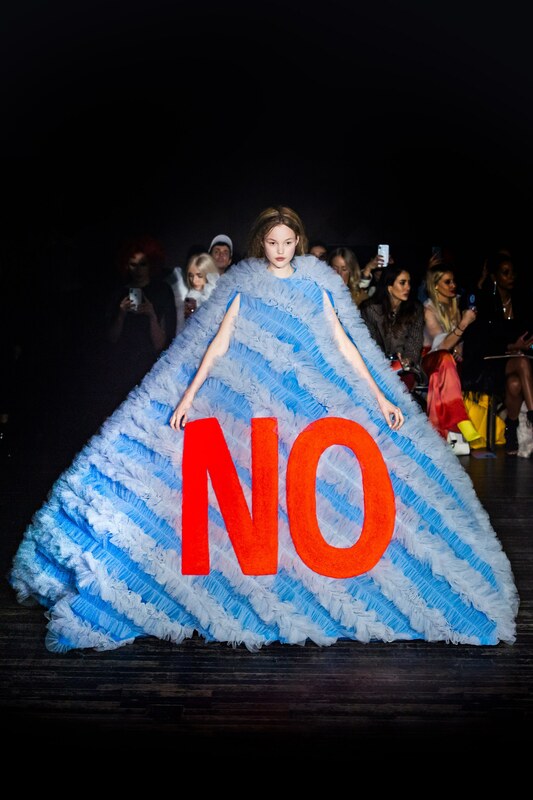 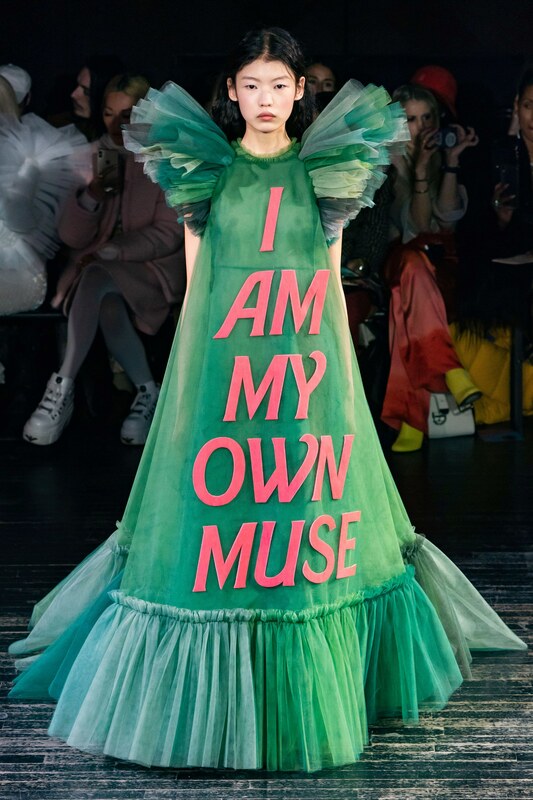 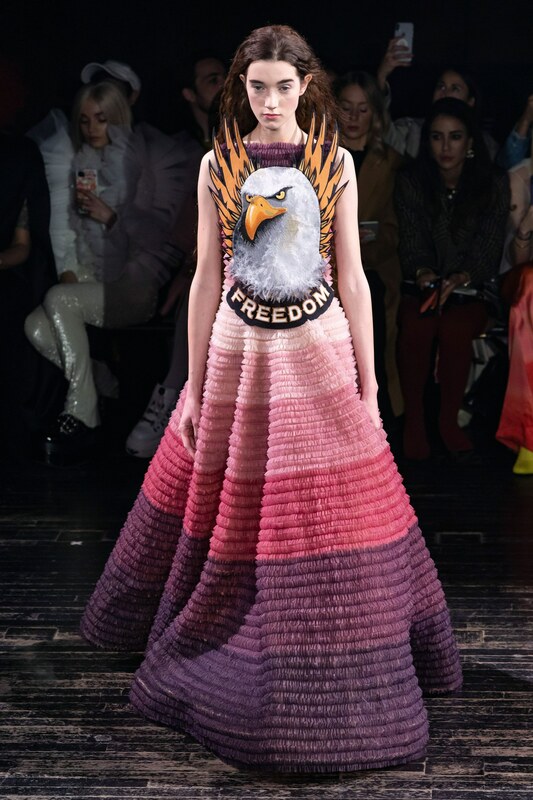 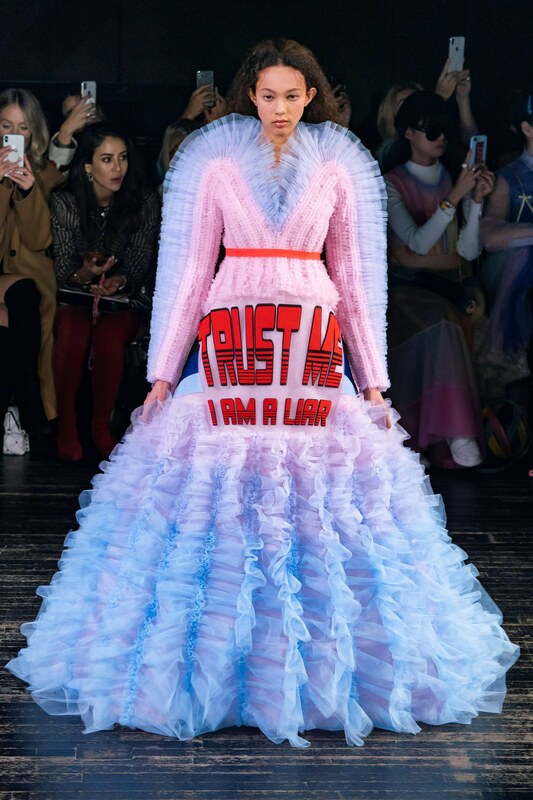 We all love memes and for their Spring 2019 Couture Collection designers Viktor Horsting and Rolf Snoeren of Viktor & Rolf presented us with gowns covered in a slew of phrases and graphics to feed our meme-hungry appetites. 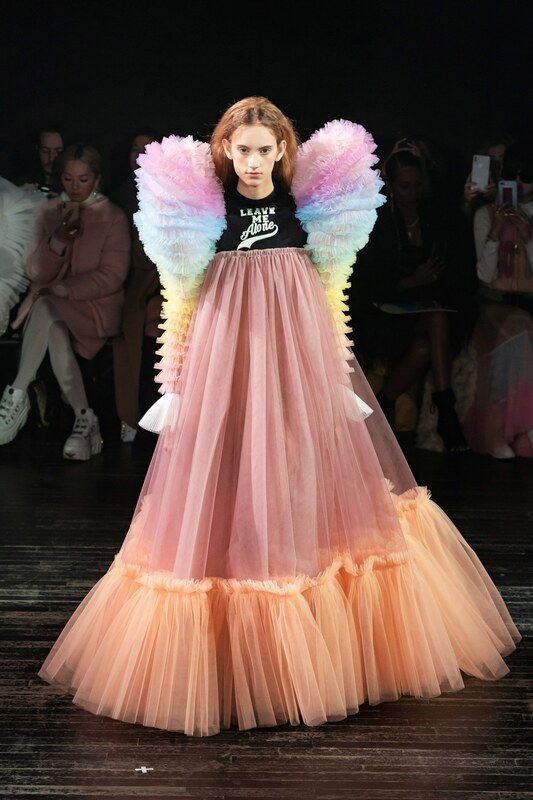 The duo unleashed a rainbow parade of tulle gowns that were literally larger than life. 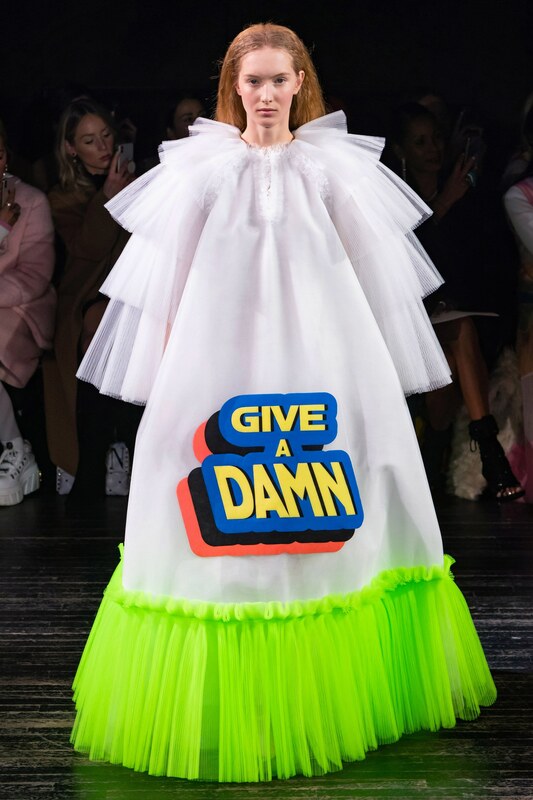 While their latest collection aptly tagged ‘Fashion Statements’ stays true to the duo’s commitment to bold, head-turning looks, the collection offers fans a more relatable aesthetic. 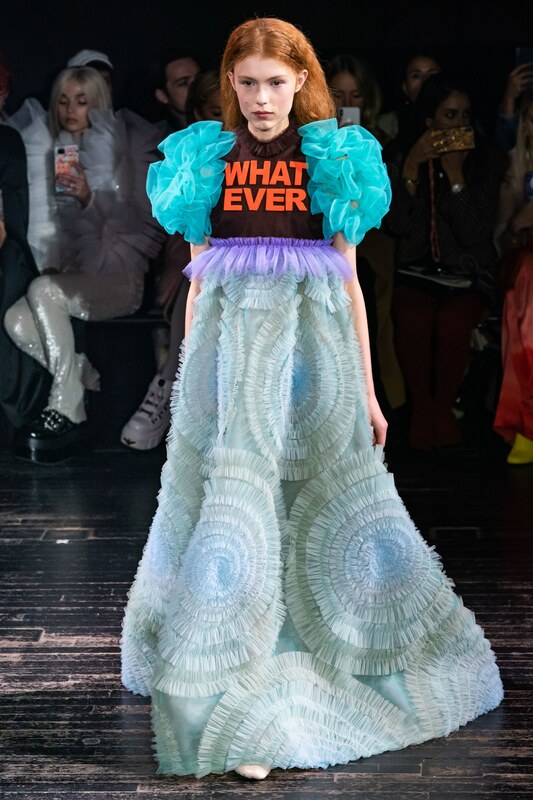 The collection featured voluminous layers of ruffles and tulle. 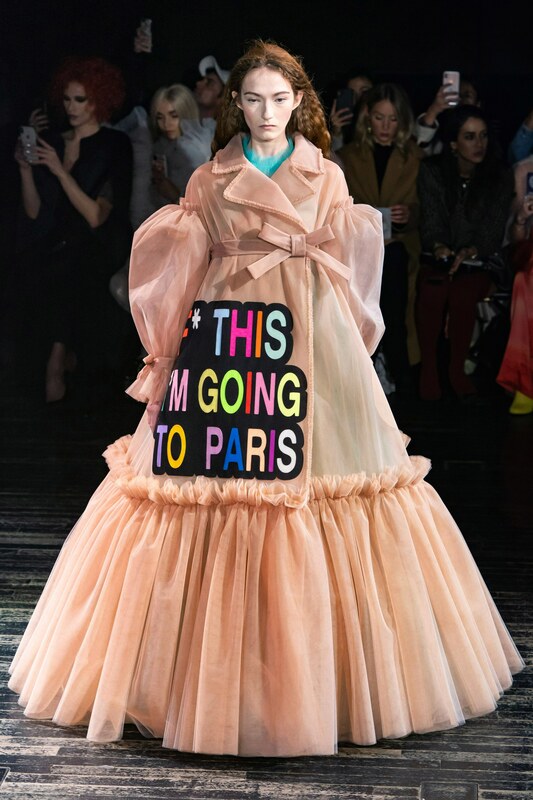 Models appeared like massive dolls as they glided down the runway in puffy, quilted designs. 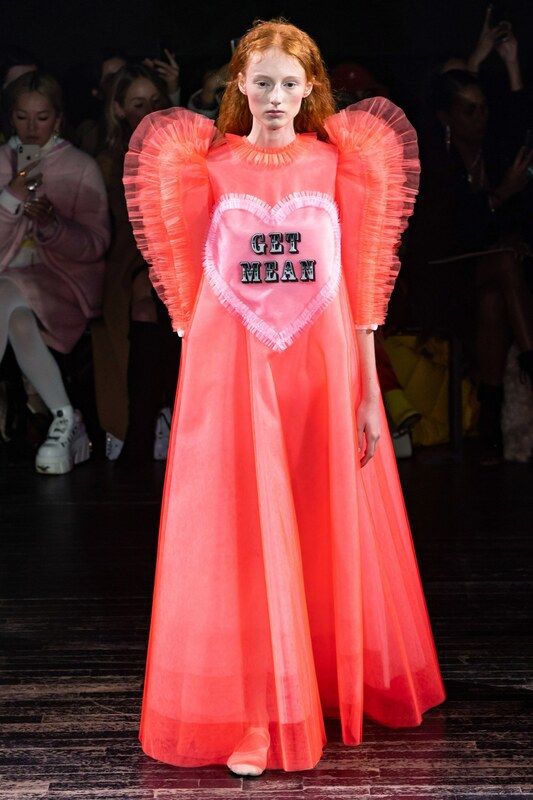 The period-style gowns were expertly juxtaposed with different one-liners, ranging from the uplifting to the anti-social. 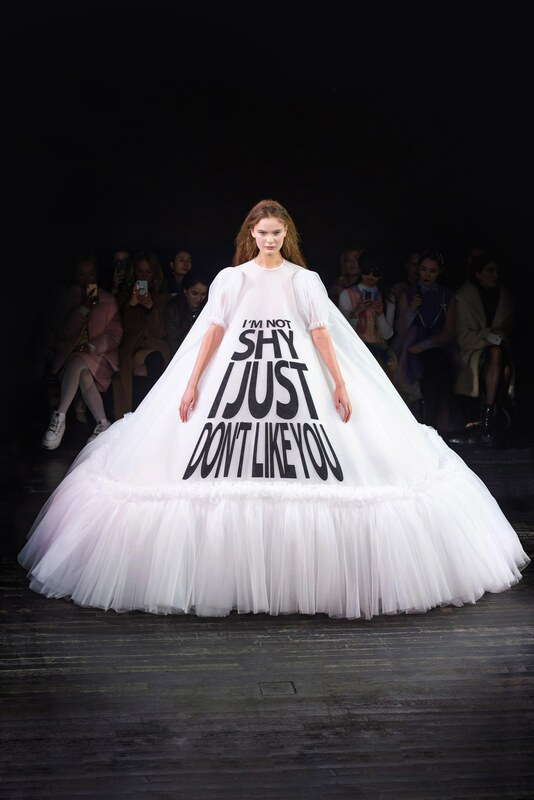 Viktor & Rolf didn’t just share negative reaction-primed memes, they also had some positive messages in their collection as you’ll see below.